Zahava Gal-On accuse Netanyahu of giving Hamas the victory. Meretz Chairman Zahava Gal-On who spoke with Channel 10, saying that Hamas had emerged as the victors in a “pointless” military operation. “The ceasefire comes too late and the terms prove that Operation Protective Edge was a strategic loss for Netanyahu who entered a war without goals, and finished by giving huge gains to Hamas on the backs of residents of the south.” said Gal-On. Political rumblings began within the Israeli government Tuesday evening after a long-term ceasefire with Hamas went into effect at 7pm local time and Economy Minister Naftali Bennett called for a Cabinet vote on the decision, citing that ministers hadn’t been consulted about the deal. Benjamin Netanyahu is again in open conflicts with his two cabinet minsters, Naftali Bennet and Avigdor Lieberman. 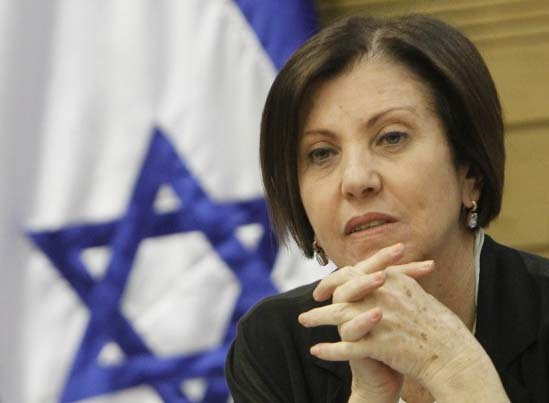 According to Bennett, the decision had been made exclusively by Prime Minister Benjamin Netanyahu and Cabinet members were only updated on the decision by telephone. 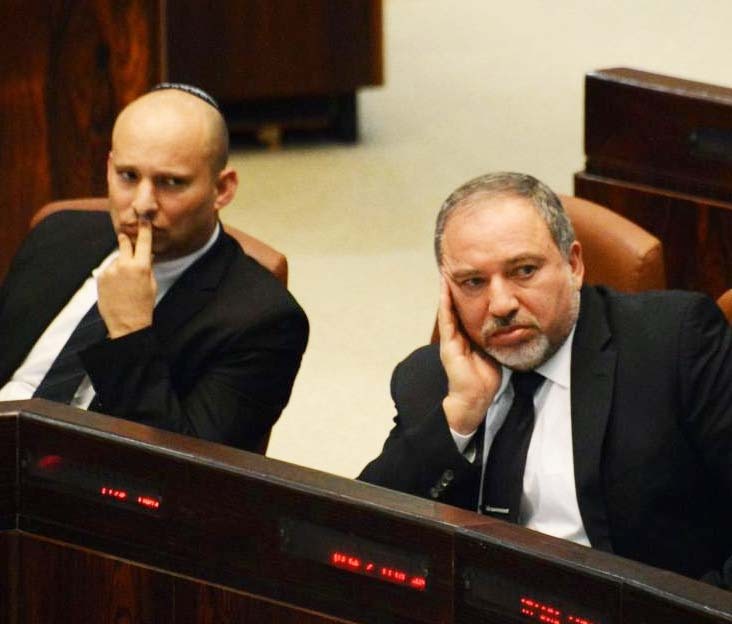 The Cabinet appeared to be split on the deal, with Foreign Minister Avigdor Lieberman, Interior Minister Yitzhak Aharonovich, and Economy Minister Naftali Bennett, and Communications Minister Gilad Erdan opposing the decision, and supporting further military action in Gaza. Sometimes painful truth can be delivered by a commited socialist. Terror from Hamas combined with increasing international pressure has brought the leadership in Israel to its knees. Its a sad situation, but in all regard inline with the Prophetic Word. Israel shall be betrayed by all nations, and be tricked into a “peace agreement”. In the middle of this process of falsehood, the Jewish people will understand that they are facing the second and final Holocaust. Than the Messiah will return. The Messiah will arrive as a thief in the night. Every name that has not been written in the book of Life, will face judgment. Only Jesus (Yeshua) of Nazareth can add a mans name to this book. The rest will be hailing the new “brotherhood of peace”, and the false Messiah who will arrive in Jerusalem. The Bible explain that there will be witnesses in Jerusalem, that will refuse to accept this “peace movement”. You can read about them in the book of Revelation chapter 11. Now when they have finished their testimony, the beast that comes up from the Abyss will attack them, and overpower and kill them. Their bodies will lie in the public square of the great city – which is figuratively called Sodom and Egypt – where also their Lord was crucified. For three and a half days some from every people, tribe, language and nation will gaze on their bodies and refuse them burial. The inhabitants of the earth will gloat over them and will celebrate by sending each other gifts, because these two prophets had tormented those who live on the earth. All inhabitants of the earth will worship the beast – all whose names have not been written in the Lamb’s book of life, the Lamb who was slain from the creation of the world. Do not end you life on Earth, in the wrong camp. You will have to pay for this gross error for eternity. The Messiah will cast all his enemies in the eternal lake of fire. Be wise. Repent, or perish. This isn’t over. Nor is this the peace agreement that will be confirmed and strengthened by the Antichrist. But it is a move closer. And the recent step to the forefront of the ‘peace process’ made by Germany, France, and Britain is highly significant, because it is from these countries the man of sin comes. Its true, this is not the final deal done. But the signature on the “long term cease fire”, do not permitt Israel tp remove Hamas. And the signature will bind Israel into further negotiantions, one nation against 191 others.